As many of you know, I’ve been trying to make healthier living options in the last couple years. Am I perfect? Heck, no! But I’m trying to get a little better each day! 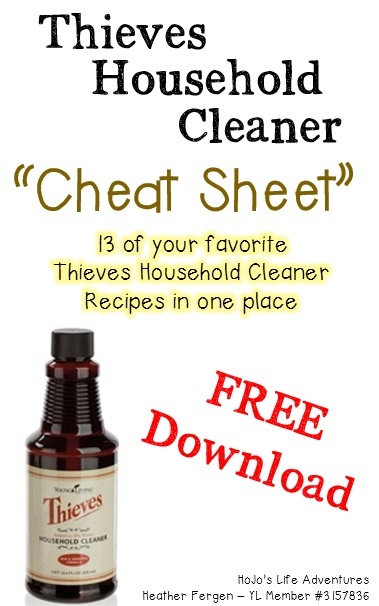 This page is a collection of the recipes or swaps I’ve used to try to rid my home of most chemicals. It’s a work in progress as I add more items to this page. Stop back often to see what my family is trying next! Use a one gallon container. Pour in four cups of nearly boiling water. Mix in three tablespoons each of borax and washing soda. Give the container a good swirl for them to dissolve. Add two capfuls of Thieves cleaner. Done! Use about one cup with each load. We now use vinegar in our Downy ball instead of fabric softener. Sometimes I add a few drops of essential oils, but sometimes I just use straight vinegar. My husband HATES the smell of vinegar, but he didn’t even notice I made the switch. One day he asked, “Why is there vinegar in the laundry closet?” So I decided to come clean. He didn’t even complain! Plus, I was doing laundry at my mom’s one time and thought, “I’ll just use her fabric softener since I don’t know where the vinegar is. No big deal!” Um–WRONG! I had an instant headache from washing my bedding in fabric softener, and I actually had to rewash everything because I was getting a massive headache each night when I went to bed. This was after only two months of using the substitute! Wow – my body really doesn’t like those crazy intense smells after all! Take three one foot long pieces of aluminum foil and roll them into one ball. Add two to four of these balls to each dryer load. (They may need to be replaced after a month.) OR take a vinegar soaked washcloth and throw it in the dryer. I quit using candles and all forms of air fresheners in our home. Now we diffuse essential oils in our home to keep the air fresh. My favorite is Purification! Check back soon to see our bathroom air freshener!